Inspired by Xavier’s extraordinary example of encountering the world, preaching the gospel, and working for a more just society, the McQuaid Jesuit community annually celebrates our patron saint through the recognition of “Xavier Week,” formerly “Xavier Day.” In March 2019, McQuaid Jesuit will transition from a one-day event to a full week with the aim of giving students more opportunities to examine and reflect on the year’s topic. 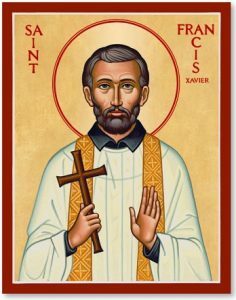 The Feast of the Canonization of Saint Francis Xavier is March 12th, and Xavier Week is typically held during the week prior to this special feast. The philosophy of Xavier Week is rooted in the experience of the saint. Mr. Adam Baber, principal, has stated, “While we cannot all go to Japan or India as Xavier did, we can challenge our students to stretch themselves and expand their understandings of their world.” For Xavier Week students are encouraged to explore and go beyond the frontiers of their knowledge of crucial topics that shape the world they live in. The program for Xavier Week has been modeled on the Jesuit high school “social justice summit” experience. Jesuit high schools across the country sponsor similar opportunities, and these play an important role in achieving the goals set forth for Jesuit high school graduates: open to growth, intellectually competent, religious, loving and committed to doing justice. Recently, Jesuit High School in Portland, Oregon focused on “Environmental Justice,” while Saint Xavier in Cincinnati, OH, reflected on “The Opportunity Gap.” About half of Jesuit high schools in the United States sponsor “social justice summits” where students may take time to reflect on their world and to consider how they are called to challenge injustice. For the first inaugural Xavier Week, the McQuaid community explored masculinity and what it means to be a good man. The keynote address was delivered by former NFL player, now-MIT Mathematics PhD student, Mr. John Urschel. Originally from Buffalo, Mr. Urschel played two seasons in the NFL for the Baltimore Ravens before retiring to pursue a career in mathematics. He spoke with students about the importance of becoming authentic men, respecting women, recognizing the barriers women face in their daily lives, and the morals that good men live by. To learn more about our keynote, Mr. Urschel, you can find a Sports Illustrated article on him here. 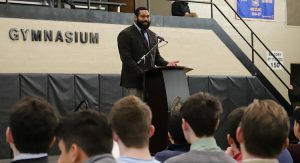 Along with Mr. Urschel, McQuaid also welcomed recent alumni, guests from local organizations, and a teacher from fellow Jesuit school Fordham Prep to speak with students of different grades about masculinity and being a man in modern society. Teachers brought the conversation into classrooms as well. You can view some photos from the week here. In 2018 our Xavier Day programming focused on the theme of Love Your Neighbor: Answering the Gospel Call to Welcome the Stranger, specifically discussing refugees and migrants. Our keynote was delivered by Dr. Marvin McMickle (pictured to the left) from the Colgate School of Divinity here in Rochester. 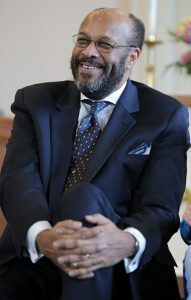 Dr. McMickle is an accomplished theologian, previously the pastor of Antioch Baptist Church in Cleveland, Ohio, from 1987 to 2011, the author of 15 books, and a regular contributor to various magazines and publications. In his address, Dr. McMickle told of how his own experiences of facing discrimination during the mid-1900s made him feel like a migrant in his own country. He also focused on the many stories of refugees and migrants throughout the Bible and what our Christian response to those fleeing persecution should be. In addition to Dr. McMickle, we were joined by various local nonprofits that work directly with migrants and refugees. Our speakers helped inform our students what makes someone a refugees or a migrant and they described some of the situations that force people to flee their homes. In March of 2017, McQuaid was fortunate to welcome Fr. Greg Boyle, SJ, as our keynote speaker. With the day’s focus on “Kinship with the Marginalized,” Fr. Greg encouraged students to reach out to those on the margins of society but also to open their hearts to those on the margins reaching back. Fr. 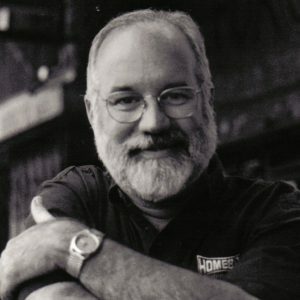 Boyle is the founder of Homeboy Industries in Los Angeles, CA, the largest gang-intervention, rehabilitation, and reentry program in the world. A renowned speaker, Fr. Boyle has spoken of the work accomplished at Homeboy Industries across the country and internationally. He is also the celebrated author of Tattoos on the Heart: The Power of Boundless Compassion and Barking to the Choir: The Power of Radical Kinship. Along with Fr. Boyle, McQuaid welcomed 37 different local, nonprofit organizations to speak with students about the work they do reaching out to those on the margins.